More cases with silver faceplates would also be much desired, such as the Centurion 534. 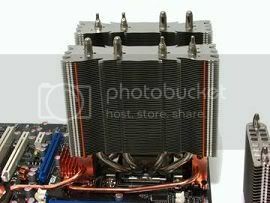 Thermalright made two towers because they make it possible to put a fan between the two towers. Here, a single fan would make a push/pull configuration. Cooler Master's Hyper 212 doesn't allow a fan to be put in the middle, so you cannnot compare Thermalright's design with Cooler Master's. If Hyper 212's two towers met each other, then it would be your typical tower cooler. Again, a larger dissipation area for heat would be created. At the moment, the airflow between the two towers is not used to cool the processor, which is a waste. lol tonschk, I fully understand your point that the multiple tower configuration can be good for some coolers, such as the Thermalright IFX-14, Thermaltake Sonic Tower and Tuniq Tower 120. These coolers are good but not only because of the fact that they have multipler towers, but because of how the fan is utilized in the configuration: fan is installed in the middle to cool all of the fins. 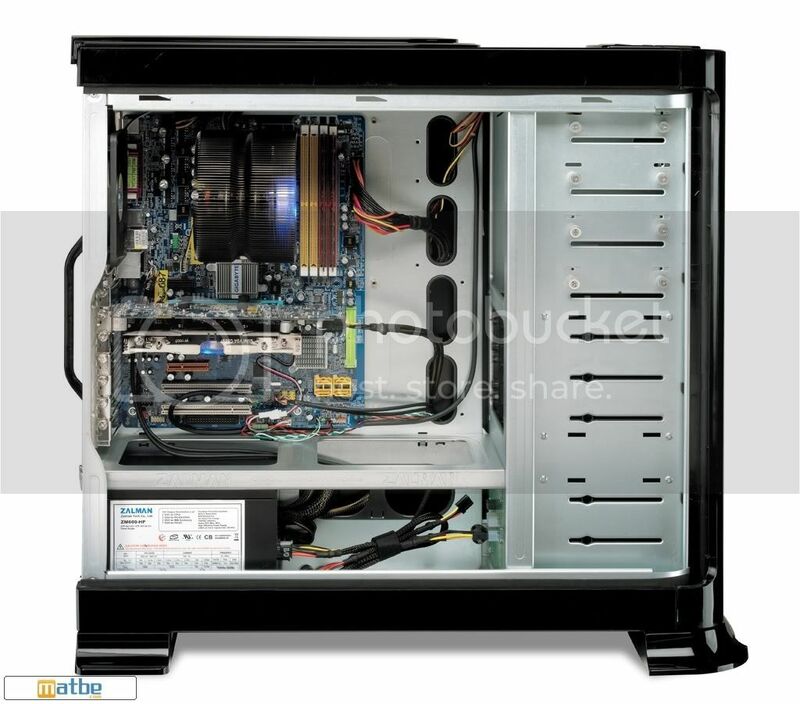 In the case of the Hyper 212, it is not utilizing the fan properly, so it seems kind of pointless to have two towers. If the Hyper 212 had its fan installed parallel to the towers, that would be better (if it was like the Sonic Tower) OR if the Hyper 212 had fins going along the two towers, that would be better as well. Adding fans in series adds normally only noise and if there's that much airflow impedance for needing second fan someone screwed up! Deadspot is only in front of motor hub, not some full height strip in the middle of fan and what's even worse this kind hole leaks air. If same surface area would be made with fins going all the way from end to end impedance would be even everywhere in front of fan and air would flow evenly in every place. But now when fins are smaller they're also more densely packed meaning they present much bigger local obstacle for airflow and what we have between these airflow obstacles? Zero impedance hole! That means notable amount of airflow from sides slips through this hole where it doesn't cool anything. Decisions are made too often by advertising departments. Also so called aesthetics is nearly universally opposite of functionality. And in text form: Two one thirds of tower isn't two full towers.